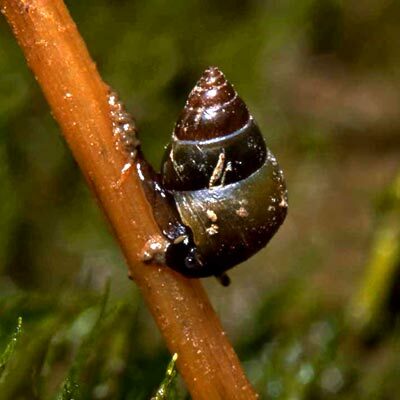 A small but solid, rather pretty, operculate shell forming an almost perfect cone shape with glossy yellow-brown surface often with a broad red-brown band on the lower body whorl. Confined to estuaries. Until recently this species was thought to be confined to the coasts of the North Sea with sites in Denmark, the Netherlands and south-east England. It has recently been reported from southern Ireland (Colville, 1992) and has also spread to north-west England. Distribution type: restricted Oceanic Temperate (71). The Irish sites are all on the Shannon Estuary (Colville, 1992) and include Ferry Bridge on the River Maigue, Limerick, on the south side of the Estuary, and Clarecastle on the River Fergus, Clare, on the north side. Colville (1992) was of the opinion that it had appeared recently at these sites since the species was not detected by Phillips (1909) on visits there, although he recorded its associate Mercuria confusa. The Irish sites are also very disjunct from its North Sea centre of distribution (Kerney, 1999). To Colville’s sites the banks of the Bunratty River near Bunratty Castle in Clare can now be added (RA, August 2001) and Bunlicky Bridge, Ballincurra Creek (RA, October 2008). It is likely to be widespread in semi-saline environments throughout the inner part of the Shannon Estuary. 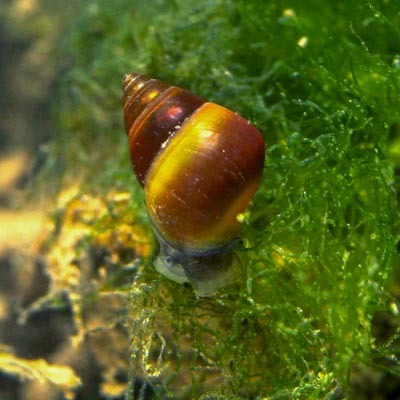 Like Hydrobia acuta and perhaps the Mercuria found on British coasts, this species may turn out to be synonymous with various southern European and Mediterranean forms currently given specific rank, and therefore to have a Mediterranean-Atlantic distribution. Giusti et al. (1995) argue that grayana may be the correct name, as the oldest epithet in currency, for a common Tyrrhenian Assiminea which is currently known as A. littorina (Delle Chiaie 1828). Not applicable (suspected invasive rather than native). Anderson, R., (2016). Assiminea (Assiminea) grayana Fleming 1828. [In] MolluscIreland.